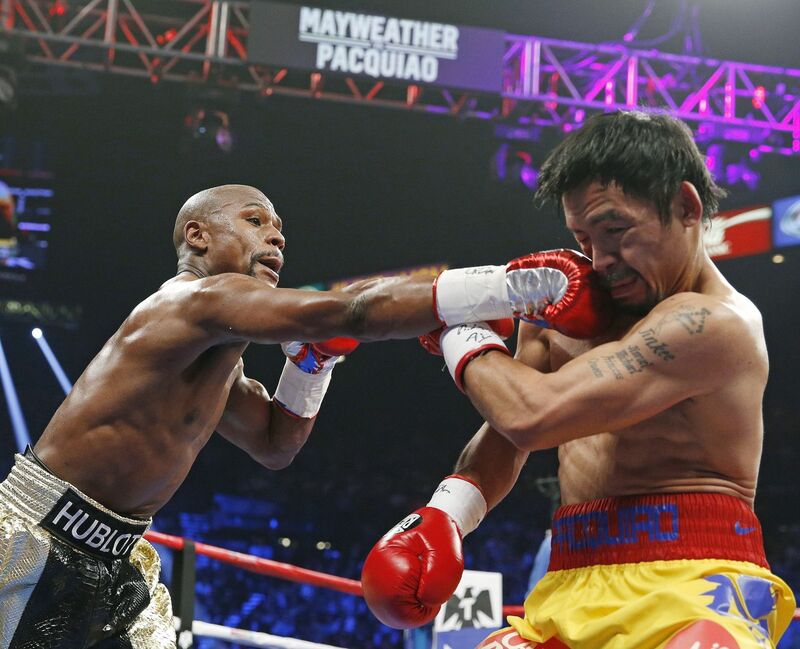 The fight over people using Periscope to watch Mayweather/Pacquiao was more interesting than the actual fight. Just for fun, I duked it out with Richard Quest on CNN. But this particular storyline misses the point. We’re about 10 minutes away from a paradigm shift in over-the-top (OTT) video that is so all-encompassing, it will change the way we consume video going forward. A quick review of the premiere of HBO’s fifth season of Game of Thrones and the Mayweather/Pacquiao PPV fight finds a bunch of unlicensed viewers pirating the content. HBO sent takedown notices to Periscope and said in a statement, “In general, we feel developers should have tools which proactively prevent mass copyright infringement from occurring on their apps and not be solely reliant upon notifications.” This is the digital equivalent of playing Whac-A-Mole – it’s a tough game, especially at scale. Some people had the very misguided idea that since the quality of the average Periscope video was suboptimal the experience would not catch on. At some point in the very near future, the quality of a Periscope or Meerkat video is guaranteed to be high resolution and emotionally satisfying. Let’s not be naïve; quality is not going to be the issue. In 1999, the year Napster was founded, the best-selling cellphone in the world was the Nokia 3210. The company sold over 160 million of them. It was a feature phone that could send a few pre-loaded video messages. Back then, there may have been a few million video cameras in the wild – a couple of hundred thousand in the hands of professional videographers and the rest in the hands of tourists and consumers recording family life events such as birthdays and weddings. Sixteen years ago no consumer-grade video cameras were network connected. Today, according to most credible sources, there are over 2 billion smartphones with video capability in the world, and all of them have access to the public Internet. With just this knowledge, one would expect some things about video distribution to change. Imagine a hack that tricks Periscope or Meerkat into capturing whatever video is on your screen (as opposed to taking the feed from your camera). Now, just create a new Twitter account and tell your social network to join you watching House of Cards on Netflix for free. This type of hack and the behavior it would inspire would scale so fast it could never be stopped. My prediction is it is only a few weeks away. Think Twitch for Periscope. Not hard. Well, there are several probable futures. First, it is easy to imagine millions of real-time video feeds of pre-packaged professional video content. By default, this will include pirated content, but it will also include content that would fall under fair use distribution rules and even new kinds of content we haven’t seen yet. Curation engines and guides with schedules might be next. A new televisionesque landscape drawing form from the old school and technology from the new school might emerge. Add legitimate, licensed content via big broadband connections to the mix, and you start to get a sense of where this is all going. I moderated a panel a few weeks ago to celebrate the debut of the new 65” LG 65EC9700 Ultra HD (4k) curved OLED television set. OLED pictures are breathtaking and, not to gush too much about a piece of hardware, the 65EC9700 may have the best 65” picture I’ve ever seen. What made the day really interesting was that Matt Lloyd, the cinematographer for Daredevil, brought some 4k clips from the upcoming season. This was a video experience that could not be consumed anywhere else. The pictures were beautifully shot. Dark. Ominous. Truly amazing. The black levels of OLED combined with the color space created a premium experience that is only available on a 4k OLED television screen OTT from Netflix via a fast broadband connection. You can’t experience this kind of video quality on a 2k (HDTV) or in a movie theater. But it would look awesome pirated via Periscope or Meerkat on a 4k OLED smartphone. A few security guards and turnstiles can keep a hundred law-abiding citizens from entering a building. If the hundred people were motivated to overwhelm the guards, it would not take long for them to do so. If a thousand people had the same motivation, it would be no contest. On Periscope and Meerkat there are no viruses; nothing bad can happen to viewers; all they can do to people who are broadcasting unlicensed content is shut off their feeds and suspend their Twitter accounts. I can get another Twitter account in less time than it took you to read this article. In no time, there will be desktop versions of real-time streaming software you can tie to your social media. Verizon is already selling full-fast rather than half-fast connections. In practice, it’s over. The people have won. I can imagine several scenarios where premium content is advertiser supported and consumed as the rights holders envision. Facebook is ripe for a native mobile premium video content play. So are several other tech giants. But we have to get ready for what’s around the corner. Technology has given consumers a clear, easy, one-button path to safely broadcast anything they want to anyone they want. At the very least, it’s going to require content owners to adapt.